A relic of the first half of the last century, the 350cc capacity class of motorcycle harks back to a time when having such a category made sense. Quicker than a commuter 250cc, but without the insurance fees tied in with owning a more sporting 500cc, this class of bike allowed for a happy medium for the discerning rider. It also makes for a unique donor bike for a custom project, as shown in this build from the Young Guns Speed Shop. 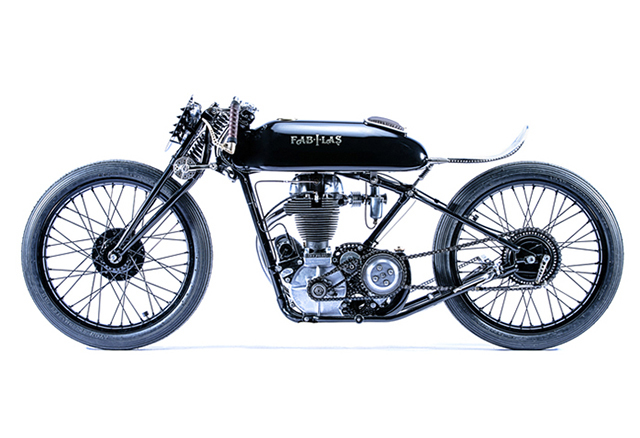 Built for the Swiss-bike Expo, this AJS pre unit bike is a product of 14 hour a day, 7 day weeks, with the final product a hard as nails board track tribute appropriately named ‘Fabilas’. The artist and engineer usually come at their work from completely different ends of the creative continuum and often go together about as well as a bull in a china shop. 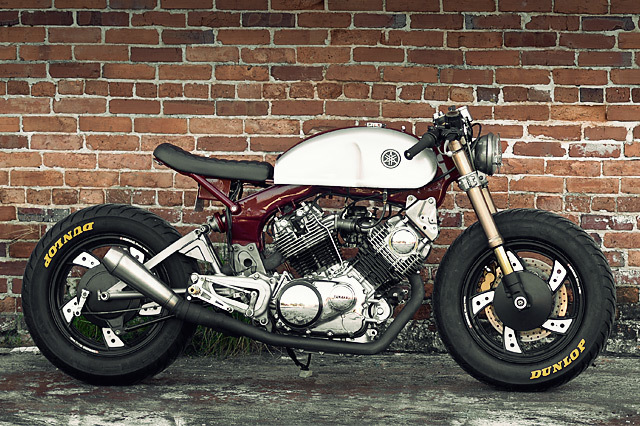 But on the rare occasion they do mix well, the results are truly spectacular – and this Custom Yamaha Virago known as “GoGo” just happens to be one such example. I’m a sucker for a board track racer. V-twin low slung bikes, with handlebars that droop so low they make clip-ons look like ape hangers. Their styling is perpetually cool, and the inspiration for this off the chain custom. When Yamaha Europe were looking for their latest workshop to collaborate with for the next ‘Yard built’ project, they made their way to sunny San Pedro, to the Matt Black Custom workshop. Known for their ability to mix old school cool with late model reliability, this Spanish workshop is the best choice for a fresh take on Yamaha’s cruiser. Meet Matt Black’s own take on the Yamaha XV950, ‘Playa del Ray’.